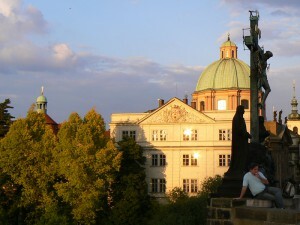 The First Time in Prague walking tour is just what you need on your first visit to Prague. 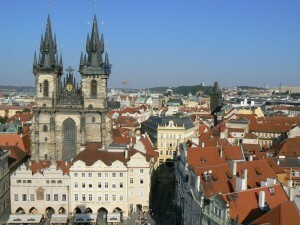 You’ll become acquainted with the most famous sights of this magnificent city and its ancient history The tour starts at Prague Castle where you will be guided through all its courtyards – Old Royal Palace, St. Vitus Cathedral, St.George’s Church and Golden Lane lie waiting to be discovered. 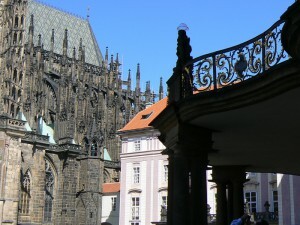 At Prague Castle and Lesser Town tour you will discover where the ancient history of Prague began and become acquainted with the development of two of the historical towns of Prague - Hradcany and Lesser Town. If you stay longer than a day in Prague it’s highly recommended that you book our Old Town and New Town Tour in order to make the most of our stay. 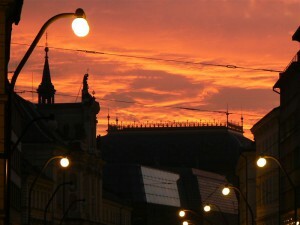 There is nothing more exciting than a night walk through the historical towns of Prague. It is highly recommended that all visitors experience this magical tour at least once during their stay. The sights you will have seen during the day are even more delightful when spectacularly lit. The city really puts on a show for its visitors after dark. 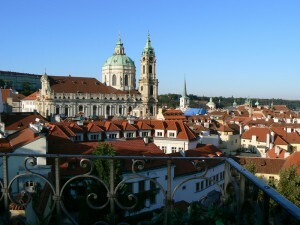 Prague is justifiably proud of its architectural heritage. The wonderfully eclectic combination of architectural styles span more than a thousand years. Wherever we choose to start our tour of this magnificent city it won’t be long before the streets of Old Town and New Town begin to unveil to you some of the best preserved examples of Romanesque, Gothic and Renaissance buildings in Europe.